Over 200 excited guests of Lloyd's Register arrived at Thainstone House Hotel on a sunny summer's day in anticipation of another fantastic Corporate Family Fun Day with Team Challenge Company. With the sun shining and so many Corporate Family Fun Day activities on offer, they were sure to have a fabulous afternoon. 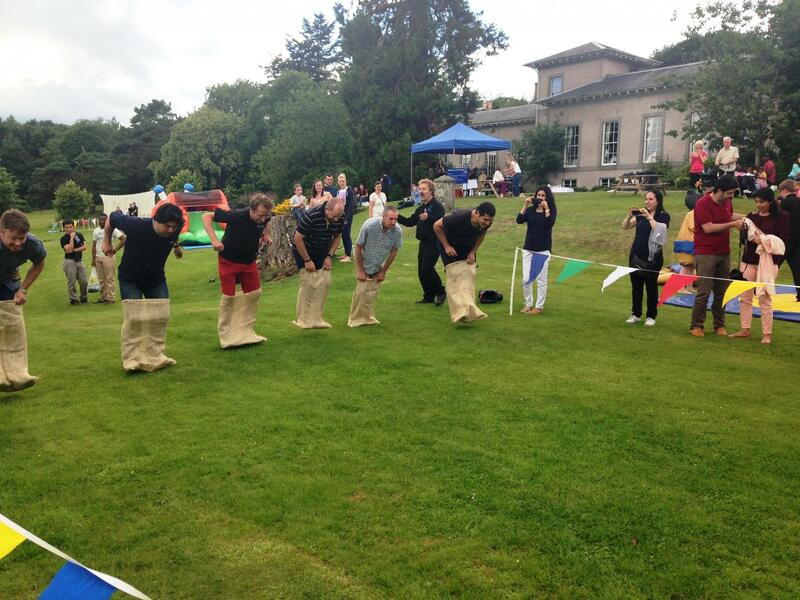 The Corporate Family Fun Day provided endless hours of laughter and enjoyment for all ages. For the young ones, it was the Inflatable Fun Zone, which included a Bouncy Castle and Ball Pool that kept the entertainment flowing throughout the afternoon. The Face Painting also proved hugely popular during the Corporate Family Fun Day, with big queues of children (and some adults) lining up for some extra special summer time designs. 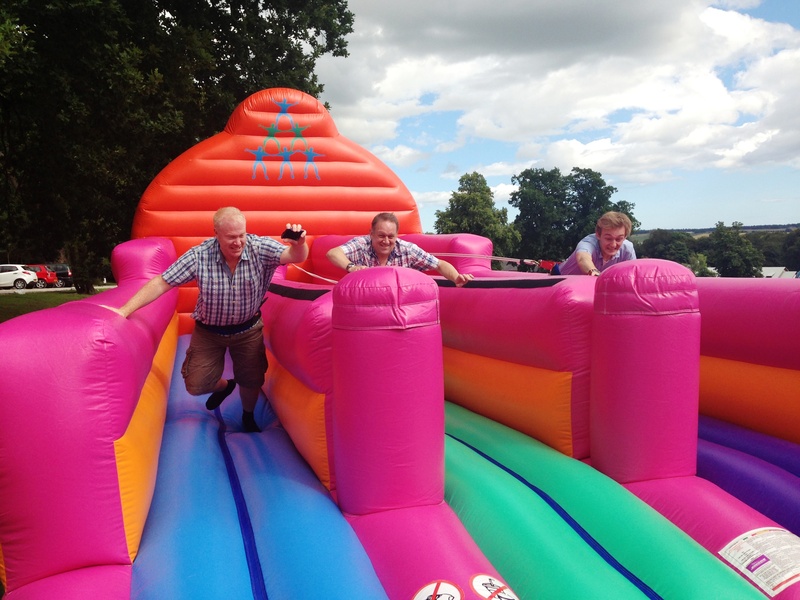 Further Corporate Family Fun Day activities included Bungee Run and Bucking Bronco, Giant Games and Human Demolition, which saw brothers battle sisters and dads take on mums in a bid to send opponents crashing to the inflatable bed below. What a laugh it was right throughout the afternoon. 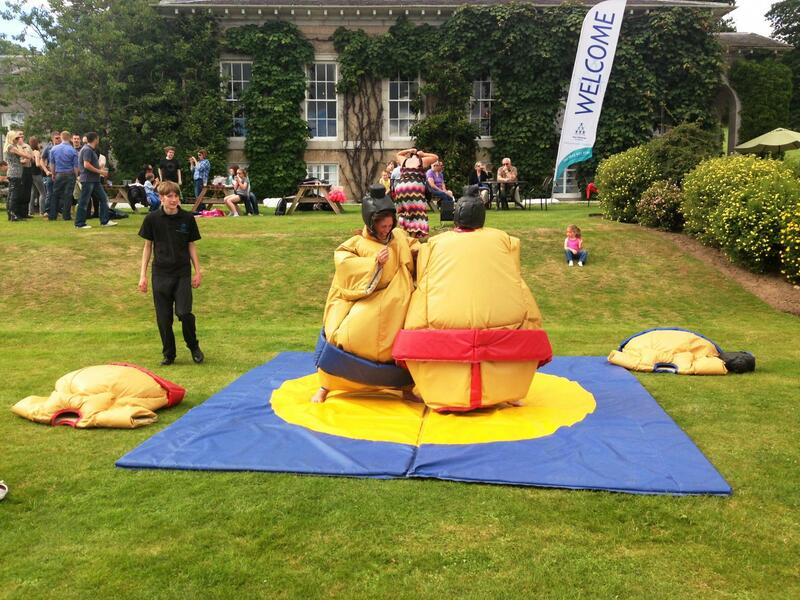 The ever popular Sumo Suits provided some of the most hilarious highlights of the Corporate Family Fun Day, with some competitors not quite as skilled as others! The Archery and Laser Clay Pigeon Shooting Competitions also drew big crowds, bringing some of the most talented players to the forefront. The Corporate Family Fun Day Children and Adult Races provided the perfect finale for such a fun-filled Corporate Family Fun Day. The Sack Race and Egg and Spoon Race for the younger ones was full of laughs (and to be honest cheating...), but it was the adult races that provided some of the most incredibly funny moments. From crazy bouncing techniques to speed wobbles to falling of backwards, the Space Hopper Dash had everything. What a laugh, and what an end to a fabulous Corporate Family Fun Day! 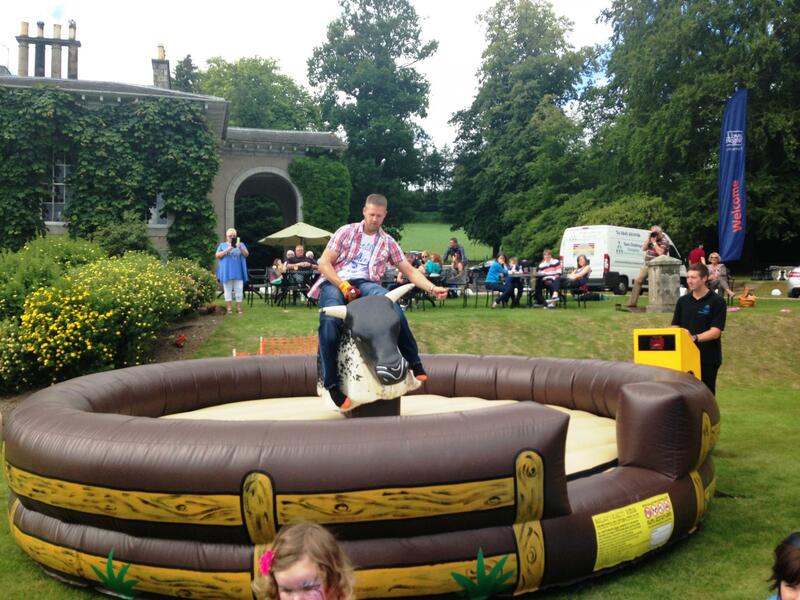 As the Corporate Family Fun Day came to a closed and guests began to make their way homeward, it was clear by the smiles on faces that all had enjoyed a thoroughly excellent afternoon at Thainstone House Hotel. A big thank you must go to Alison for her part in organising such a successful Corporate Family Fun Day, and one which will undoubtedly remain in the memories of those in attendance for a very long time. The effort and enthusiasm put in to organising the event most definitely paid off, and we at www.teamchallenge-company.co.uk certainly look forward to working with Lloyds Register again in the near future. "What a fab day we all had with the group from Lloyd's Register, everyone enjoyed all of the activities and got involved in the races which was so much fun to watch. It was lovely to work with Alison and Tony in the run up to the event and to meet you on the day! I look forward to working with you all again. Kirsty"